What better way to kickstart 2015 then by investing $1.75 million in the white Ferrari seen often in TV’s Miami Vice? On eBay, the 1986 Ferrari Testarossa that was used on the classic TV action series. The short story about this car, when the MIAMI VICE show first aired a Daytona Ferrari replica was used, when Mr. Enzo Ferrari watched the show and witnessed the Fake Daytona he was outraged that a replica car was carrying his Ferrari name, automatically a law suit against Universal Studios was started. A couple of shows later a deal was struck… the agreement was for Universal Studios Hollywood to BLOW UP the original Daytona replica on the actual M.V. show and for two new 1986 TESTAROSSA’S to take over as the Special A.T.F. Vice cars. Both cars were born Carbon black but the camera equipment 30 years ago wasn’t good enough to keep up with the night scenes and the speed of the cars. 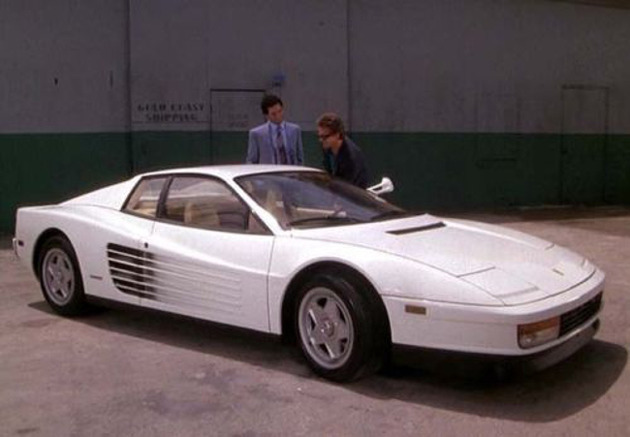 So, director Michael Mann decided that both cars were to be painted White and the Iconic Miami Vice Ferrari was Born.